William Hill Casino Games is a series of well-known, as well as lesser known, casino games that can be played for free or with real money. Try the classic roulette or black jack. 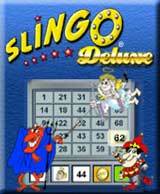 But do not cheat yourself for fun games like Wild Gambler, Amazon Wild, Angel or Devil, Midas Millions, Chests of Plenty, Re Spinner, Rubik's Slot based on the famous Rubik's dice, Cash or the Titans, Jacks or Better Poker and Of course, the entertaining Pharaoh Treasure. You'll have influence over the development of the Wild West in this entertaining game. You're going to help build up city, where there used to be absolutely nothing before you came by. When that's done you'll have to secure law and order in your city. If you liked games such as Virtual Villagers you'll love Westward. 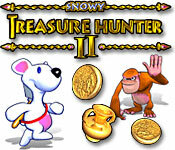 Snowy: Treasure Hunter 2 is a pretty good arcade game, where you are to find a treasure in the cold, cold North. The hunt is divided into six different levels and three episodes. But watch out! There are several traps and enemies that's trying to beat you in this game. In the game Spore Creature Creator you'll be able to create a creature through different stages. There are no limits and the game even holds the possibility for you to record a video of your creation and share it directly on YouTube.